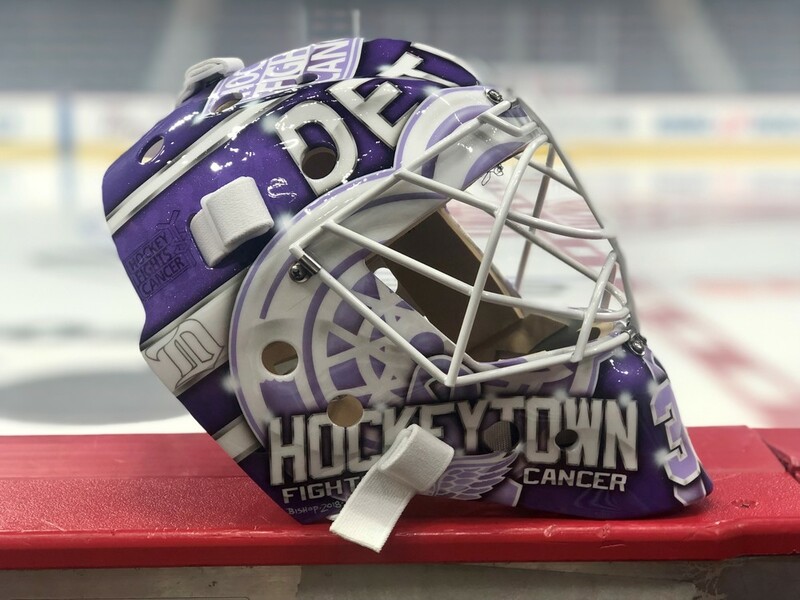 Fans can bid on this this one-of-a-kind, game-used lavender goalie mask worn by Jimmy Howard (#35) for the Red Wings' Hockey Fights Cancer Awareness Night (11/13/18). 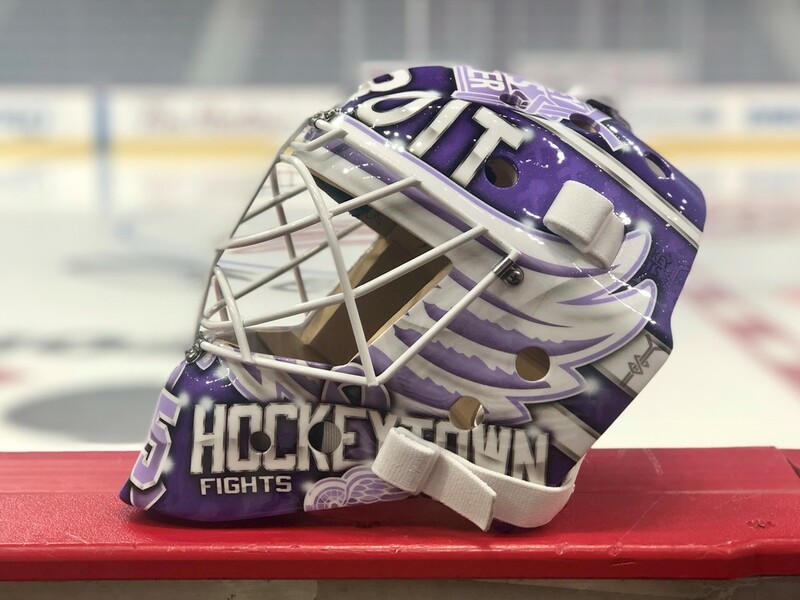 The mask is NOT currently autographed, but can be autographed upon request Proceeds from this auction will benefit the American Cancer Society's Road to Recovery Program. 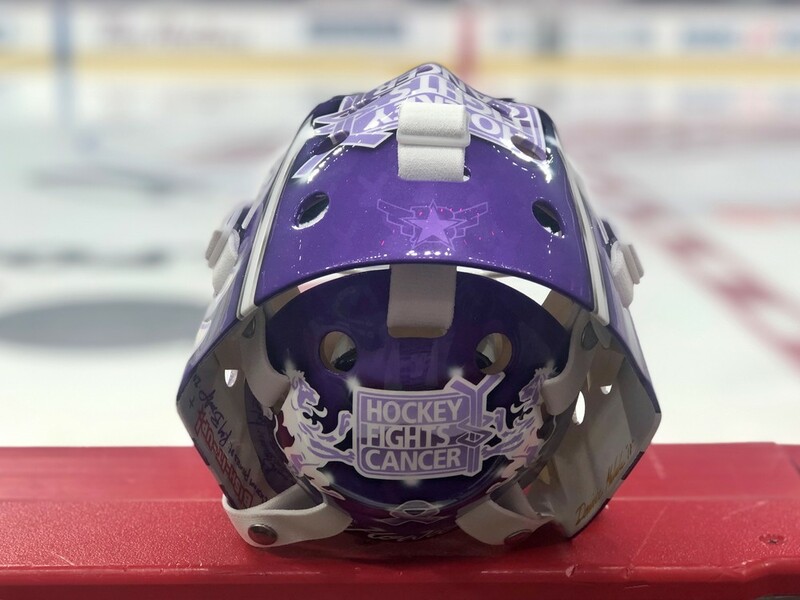 For more information about the program, please visit https://www.cancer.org/treatment/support-programs-and-services/road-to-recovery.html Please note: Tickets to the 11/13/2018 game are NOT included with this auction. 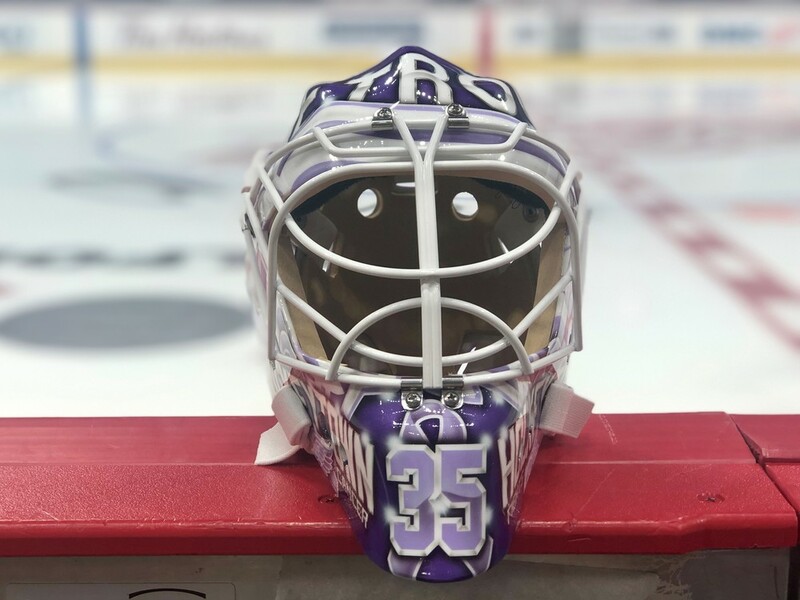 If Jimmy does not participate in warm-ups or play in the game, the winner will be issued the mask featured in the photo. Item may very slightly from picture. Please allow 4-6 weeks after the auction concludes to receive your package. Items will be shipped via UPS (Signature Required). Shipping costs within the US are $30 and $40 USD to Canada. All winning bidders pay shipping charges and are responsible for all tariffs, taxes, duties and any other additional costs associated with shipping inside of North America. WE DO NOT SHIP INTERNATIONALLY.